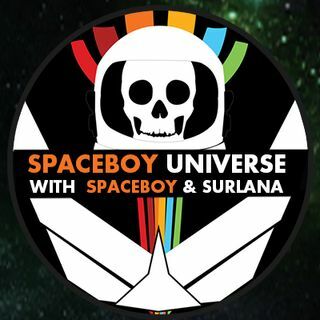 Join Spaceboy and Surlana as they talk about "Our Future in Space"
See you all next week!!!! Love you all!!!! Have a great week!!!! Have a great week Surlana and Spaceboy!! Yes I'm laughing so hard!!!! I'm crying!!!! I'll bet it's elaberate right Gene?